Springboarding off their success on the second season of The X Factor US, American girl group Fifth Harmony have moved well beyond the realm of reality singing competitions to become legitimate pop stars in their own rights. After signing to Syco Music in Britain (Simon Cowell's label) and Epic Records in America, the quintet released their famed debut single 'Miss Movin' On' - which won numerous accolades, including the MTV Video Music Award for Artist to Watch. Subsequently, their full-length albums such as 2015's Reflections and 2016's 7/27 became massively popular thanks to multiple platinum singles and several Billboard chart hits. Best known for catchy songs such as 'Boss', 'All In My Head (Flex)' and 'Worth It' - the group have achieved incredible commercial success, selling millions of albums worldwide and earning 1.6 billion on-demand streams in the United States alone. Despite their upward trajectory, it was announced last December that founding member Camila Cabello had left the group. 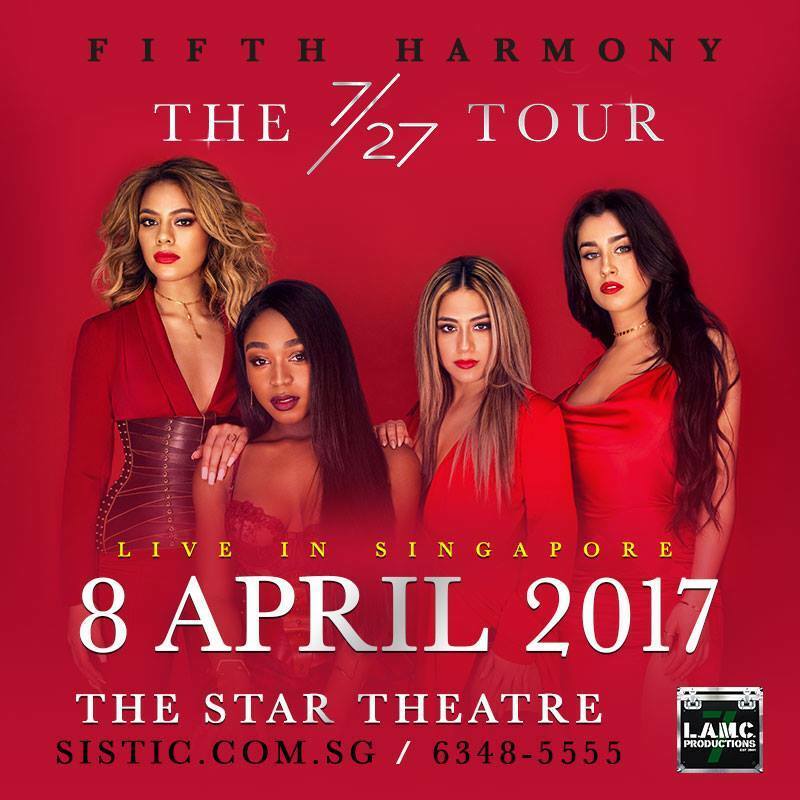 Nevertheless, Fifth Harmony are continuing on with their globally triumphant The 7/27 Tour in 2017, bringing them to Singapore for the very first time on April 8, 2017 at The Star Theatre, The Star Performing Arts Centre! Tickets for this anticipated concert range between $98 and $168. For more information, please visit LAMC Productions' official website or RSVP to the event page for exclusive updates. The 7/27 Tour will bring them all around Asia, but the quartet will only perform three dates in Southeast Asia: Singapore, Kuala Lumpur and Manila. The group will play the Mall Of Asia Arena on April 5th, and Sunway Lagoon on April 7th. 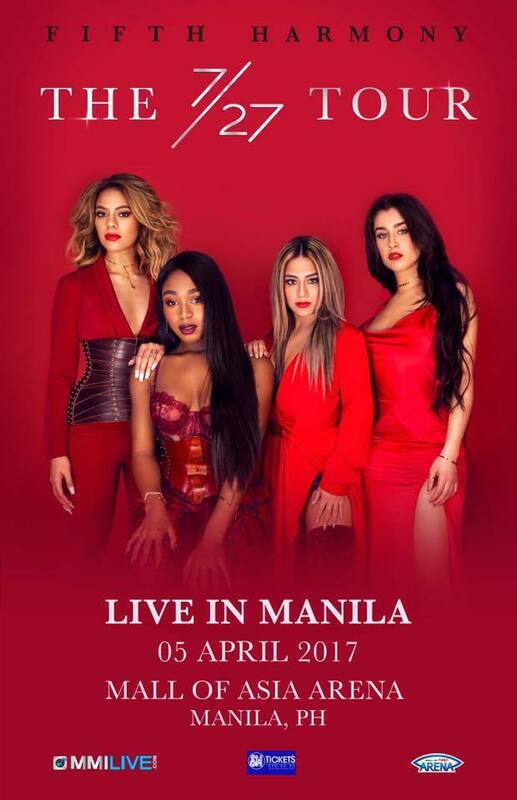 Tickets for the Manila show — priced at ₱1,050, ₱2625, ₱3,990, ₱5,040, ₱6825, ₱7875 — will go on sale January 24th at 10am via SM Tickets.